With Hail, you can now get a ride from your Mac, without needing your phone at all! Hail stays in your menu bar, and can quickly be brought up with a keyboard shortcut, keeping ride estimates just a tap away. 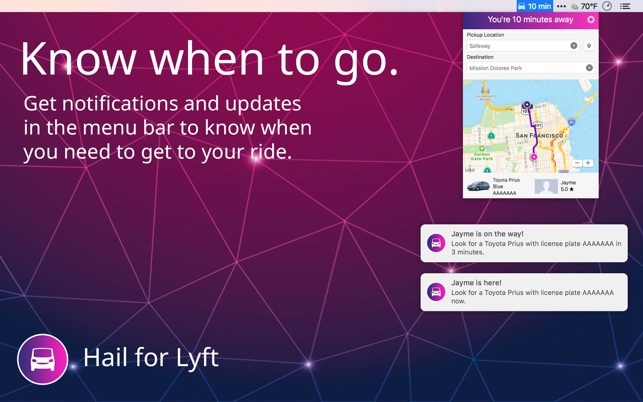 Hail supports the full Lyft experience, and is powered by the official Lyft API. - See all the available ride types in your area, and how far away they are. We'll even keep the nearest ETA in your menu bar so you know when it's a good time to request a ride. 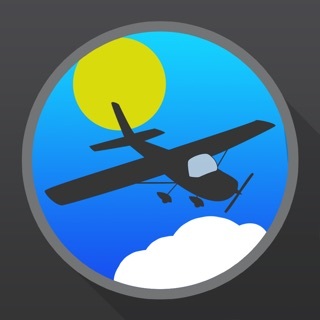 - Enter a destination, or use recent destinations, to get cost estimates. 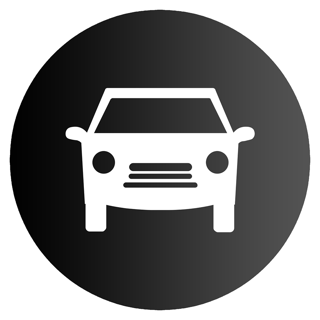 - Get a pricing estimate and request a ride. - Get an ETA on your pickup time right in your menu bar, as well as notifications in your Notification Center so you know when to leave. - Track your drivers progress on a map to stay up to date. Hail works in tandem with the Lyft app on your phone, and seamlessly transitions between them. Hail also supports Touch Bar to make it even simpler to request a ride, without even needing to touch a mouse or trackpad! 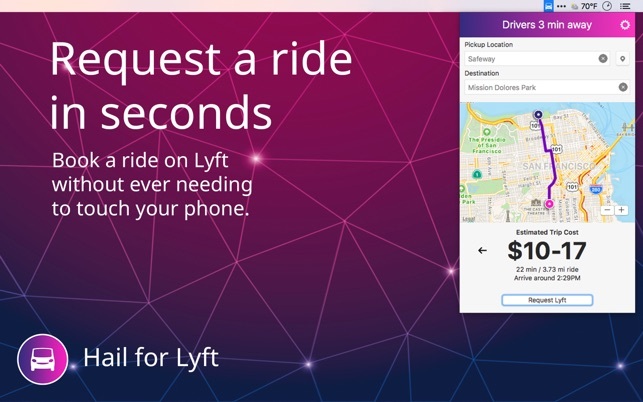 To check if Lyft is available in your area, go to https://www.lyft.com/cities. Hail uses the Lyft Platform but is not endorsed, certified, or otherwise approved by Lyft. Please show the current price instead of the time. Folks don’t care if it’s going to take 1min or 3min for the vehicle to arrive - they want to monitor the price and call the vehicle after a surge, once the price falls back to normal levels. After a car has been called, you can go back to showing the time instead of the price so that folks can walk outside as the vehicle arrives. Support for moving the marker would be great too (although this is a much lower priority than the above!). The address search drops the pin in the middle of a building, so one can’t control which side of the block the vehicle arrives. This rating is five stars for now, because the app works fine. If the app goes a year without an update, I’ll come back to correct this rating. Thanks for creating an app for those of behind a desk most of the day now i can work and wait to the last minute for my Lyft. Thanks guys!!! !